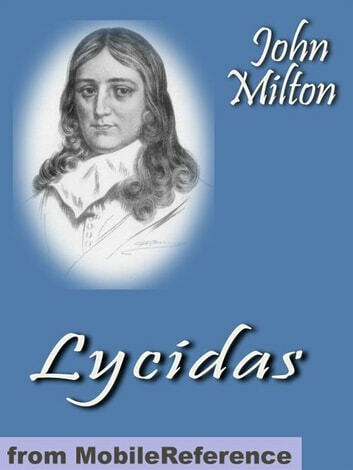 John Milton's poem, "Lycidas" has been called "'probably the most perfect piece of pure literature in existence…' [employing] patterns of structure, prosody, and imagery to maintain a dynamic coherence. The syntax of the poem is full of 'impertinent auxiliary assertions' that contribute valuably to the experience of the poem,". The piece itself is incredibly dynamic, enabling many different styles and patterns that overlap, "the loose ends of any one pattern disappear into the interweavings of the others,". Though a close reading of the poem shows that the work itself is more complicated than it appears to be, on the surface "Lycidas" reads as a pastoral elegy. The speaker, assumed to be Milton, laments the early demise of his friend Edward King, a colleague and close friend whose life was cut short by drowning "while crossing the Irish Sea" Excerpted from Wikipedia, the free encyclopedia.